Your realty agent is always a good source, but you can also look on line. 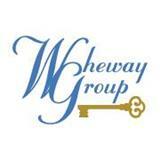 In order to find a home inspector, Wheway Group advises looking for someone with demonstrable qualifications. "Ideally, the general inspector you select should be either an engineer, an architect, or a contractor. When possible, hire an inspector who belongs to one of the home inspection trade organizations." Our team of agents can help you find a local inspector. The American Society of Home Inspectors (ASHI) has developed formal inspection guidelines and a professional code of ethics for its members. Membership to ASHI is not automatic; proven field experience and technical knowledge of structures and their various systems and appliances are a prerequisite. One can usually find an inspector by looking in the phone book or by inquiring at a real estate office or sometimes at an area Realtor association. Rates for the service vary depending on scope, size of home and services you would like. Your Wheway Group agent can help guide you to the services you may need.